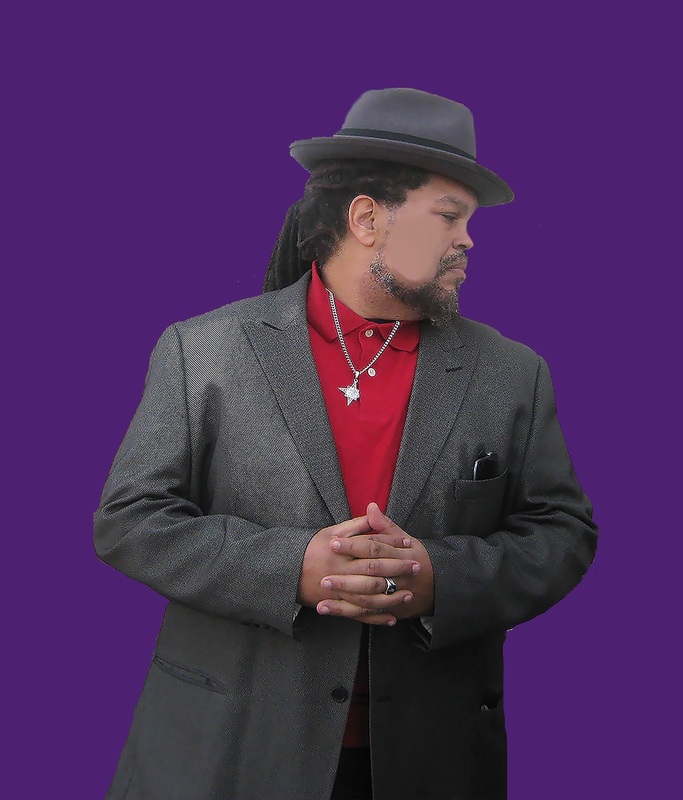 A member of popular soul band The GroovaLottos, and internationally renowned arts and cultural educator introduces an innovative, guerrilla- style YouTube talkshow on Wednesday nights at 7pm. Social Topics - Arts - History - Culture - Education - Black Studies - Indigenous Studies - Music - Life... sums up what you'll see on the new weekly Youtube broadcast, simply called "DaPhunkeeProfessor.com". The popular arts and culture blog will now come to life via Youtube. The program concept: a video essay sharing ideas, perspectives and philosophies; along with segments and snippets of things captured on a phone, like performances, conversations, interviews, and events. "Stream of Consciousness Guerrilla Television" is what producer and defacto host Mwalim DaPhunkee Professor calls it. Mwalim, a member of the Grammy nominated band The GroovaLottos. This concept is an extension of a course that Mwalim introduced at UMass Dartmouth called "Guerrilla Filmmaking", whereby students made films using the cameras on their phones or tablets and editing with software acquired as free downloads from the Internet, or that came on their computers. 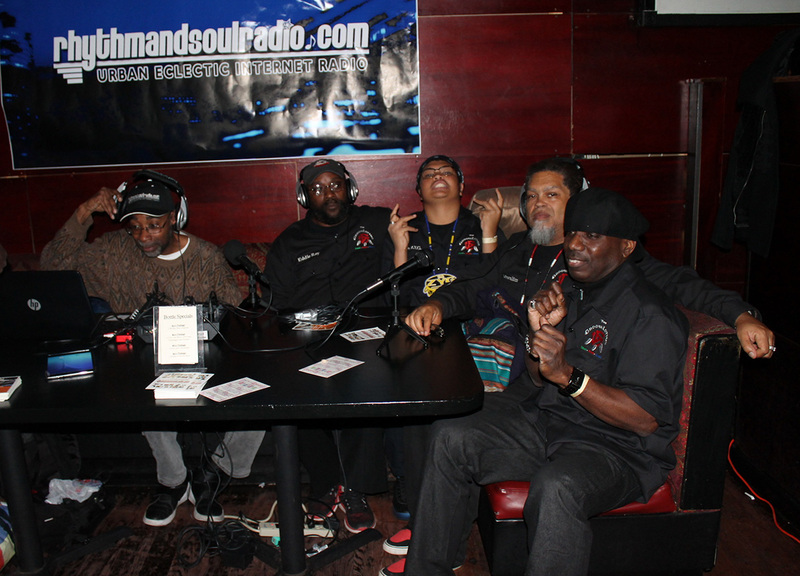 The GroovaLottos being interviewed on Rhythm & Soul Radio. Upstart Cable and Streaming Network UBC-TV hosted a Pre-Grammy Launch that featured Grammy Nominees The GroovaLottos, along with a host of up and coming Indie talent, got the crowd going. Packed to capacity and The GroovaLottos are two phrases that we're hearing in the same sentence a lot these days. The 'Road To The Grammys' continued with an appearance on Tuesday night at a Pre-Grammy Launch party at Taj II in Manhattan, hosted by UBC-TV, a brand new cable network in New York City. A who's who of the urban music industry gathered to enjoy a celebration of the launch of UBC-TV as well as hear some of the best indie talent in the business today. Topping the list was an appearance by The GroovaLottos. This was also an opportunity for the industry to meet percussionist, MC and soon-to-be solo artist, The Z.Y.G. and talk about his upcoming project. Up until last night, The GroovaLottos were simply a legend in the New York music scene, to those familiar with their Grammy nominated album and unapologetically old school soul sound. Quickly gathering new fans, the group sold handfuls of CDs and collected a bag full of business cards. Urban Broadcasting Company (UBC-TV Network), is a streaming, broadcast multi-media company that creates, produces and distributes ‘Urban Lifestyle Programming.” UBC-TV Network’s slate of ‘UBC Originals’ consist of news, entertainment, business, fashion, health and wellness, live concerts and events, food, sports, comedy and other lifestyle programs. UBCTV content is distributed over multiple platforms that include streaming, cable, satellite, VOD, OTT, mobile, live stream, on- demand, wireless devices, social media, radio and other platforms. UBC-TV’s goal is to provide relevant, diverse, exciting and uplifting programming geared towards the underserved urban multi-cultural market. The GroovaLottos will be in concert with folk-jazz band, The Louis Apollon Band on January 27th at the MMAS Arts Centre @ Great Woods, 888 South Main Street, Mansfield, MA. Dedham Square Coffeehouse was packed to capacity and the windows were covered with steam from the dance floor. The GroovaLottos kick off mini tour with a true party. Next stops: Taj II in New York City, and MMAS @ Great Woods in Mansfield, MA. If you weren't at the Coffeehouse Soul Sessions on Saturday, January 20th, you truly missed, what has been described as a party and a revival. The GroovaLottos had the suburban eatery packed to capacity, with the dance floor full most of the night and a lot of the food and beverages sold out. CDs were sold hand over fist and people lined up to sign the mailing list. It's the kind of night indie bands dream about and the kind of night that The GroovaLottos have been experiencing more and more.The premiere of Soul Sessions as a monthly offering at the Dedham Square Coffeehouse, in Dedham, MA was an amazing event and the kick-off of The GroovaLottos 'Road To The Grammys' mini tour. 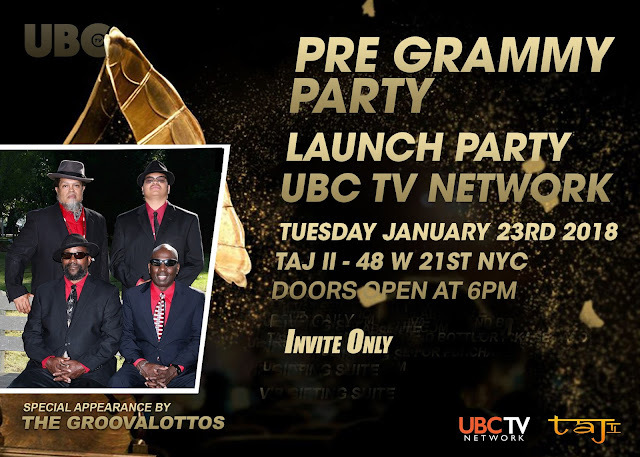 This coming Tuesday they are bringing their party vibe to Taj Lounge II, 48 West 21st St, NYC for the UBC-TV Pre-Grammy Kick-Off Party. There the band, their Grammy nominated song, "Do You Mind(IfWeDanceWitYoDates)? ", and the line dance 'The Phunk' will be featured at the party and on the New York Cable show. The party starts at 6pm. Saturday, January 27th, the band will be in concert, with international folk-jazz sensation, the Louis Apollon Band at the MMAS Center for the Arts @ Great Woods, 888 South Main Street, Mansfield, MA. Show time is at 7:30 pm. Coffeehouse Soul Sessions will reconvene on Saturday, February 10, 8pm at the Dedham Square Coffeehouse, 565 High St, Dedham, MA. A landmark 2017 for The GroovaLottos lays the foundation for a powerhouse band and production unit that is stepping into 2018 full steam ahead with Triple A radio play, rising album sales, and the Coffeehouse Soul Sessions. Opportunities and accomplishments have been a growing pattern for The GroovaLottos, as we look back at the last two years of the bands rise from regional bar band to indie music legends; and from indie music legends to internationally recognized musical masters. When a band has visitors from other states and other countries making a special trip to hear them at Gilda's Stone Rooster in Marion or the Dedham Square Coffeehouse outside of Boston just to hear an up close taste of what they've seen snippets of on Facebook or were blown away by the album and wanted to hear if the live came close; only to be even further blown away. "Mwalim and I usually play Gilda's as a duo. One night, a lady came up to me at the break," explains drummer Eddie Ray Johnson, "and gushed about how great we are and how amazing it was for two people to produce such a big sound. Her accent was not from around here. It turned out she was from Belgium, had heard us on Youtube and was visiting a friend in Stoughton and made them bring her to Marion to hear us. she and her friends bought seven CDs from us." Similar things have happened at other gigs, where visitors from other countries made a GroovaLottos show part of their tourist-in-America experience. Currently appearing on the RMR Charts as well as the Jamband and NACC charts, "Ask Yo' Mama" is in rotation on over 250 station, specialty radio shows, and podcasts in the USA, Canada, Europe, Asia and Africa. In August, they were album of the week on BBC. Keepers of the Soul-Funk-Blues traditions, The GroovaLottos continue to carve a niche for themselves in the Americana music market. 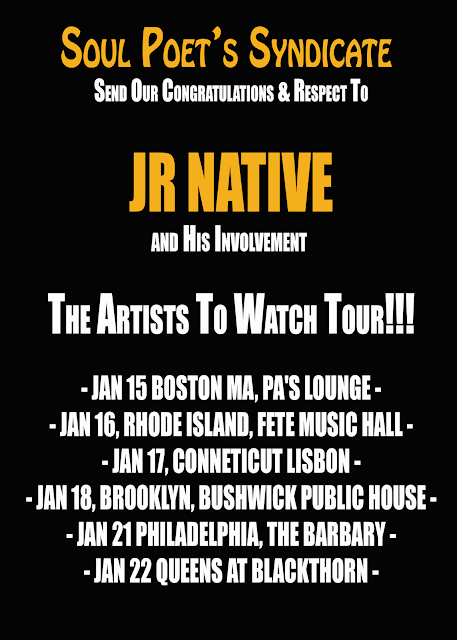 Upcoming performances include Gilda's Stone Rooster on January 13 @ 9pm (27 Wareham Rd, Marion, MA) and Dedham Square Coffeehouse on January 20 @ 8pm (565 High Street, Dedham, MA).